Create Embellish Adore: Whatcha expect... a pot of gold? Whatcha expect... a pot of gold? Well YEAH! That is what I am looking for! 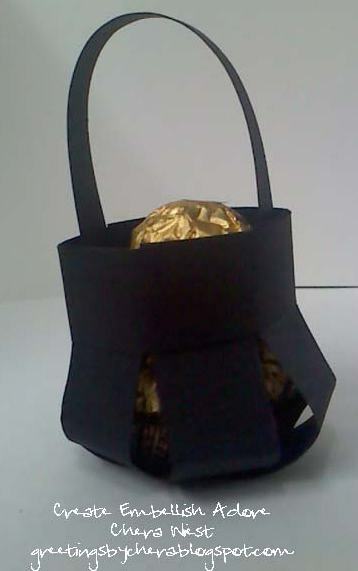 Simple little basket holds three FR chocolates. OK, maybe the third is stuffed in there... but it still matters! This is as simple as the basket gets. The "gray" in the instructions below is your "band", the 3 blue strips are your 'basket belly' - and this was my short version of how to make it. 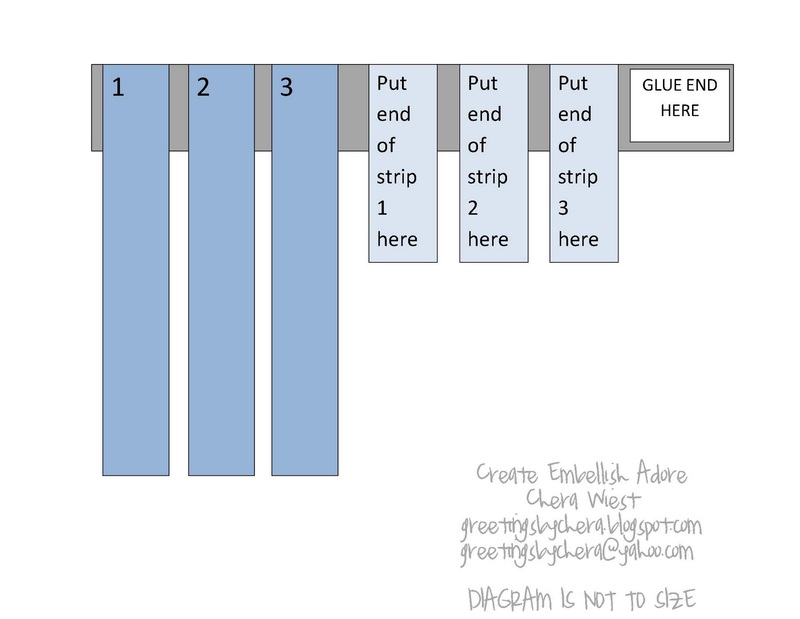 I do believe you can search on Splicoaststampers for this as well, incase my diagram isn't doing it for you! 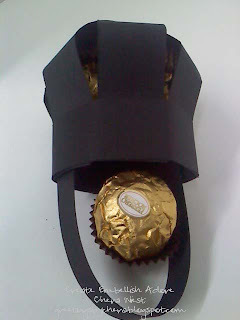 You do overlap the strips, and that forms the basket. I hope this helps! cute little basket - just the size for Easter! Thanks for sharing.